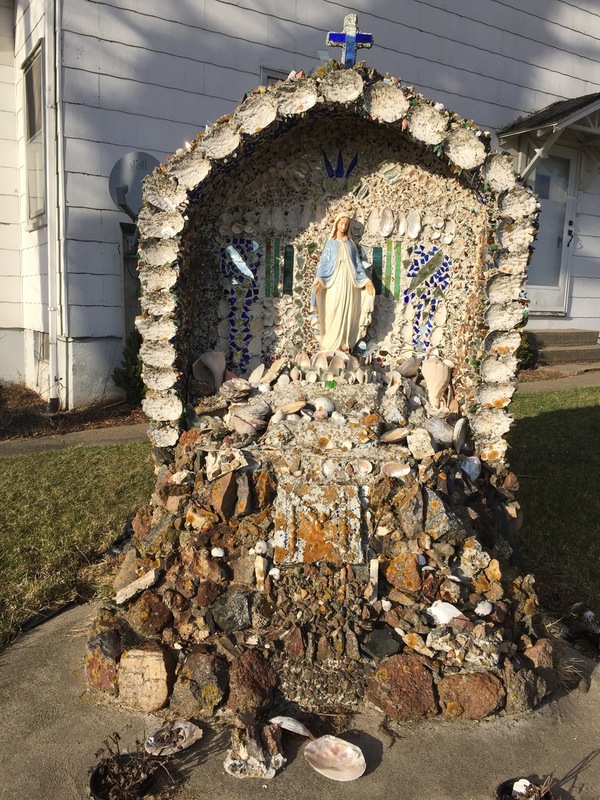 In 1962 Catherine Bastian (née Feldman) of Earlville, IA and her husband Bill, inspired by a neighbor, built grottoes in honor of “Our Lady of Grace” in the front yards of family and friends. Her grottos ranged in size from 7 inches to six-feet and are located among several locations in Earlville and Dubuque. One grotto, erected in the yard adjacent to the Feldman Family Farm, is still visible from Highway 20 running through Earlville. It is unknown how many others are still standing. Bill passed away in 1972 and Catherine fell ill with tuberculosis sometime after. She made a promise to the Blessed Virgin Mary that she would continue to create grottoes as a lifelong devotion if she recovered. Catherine survived. 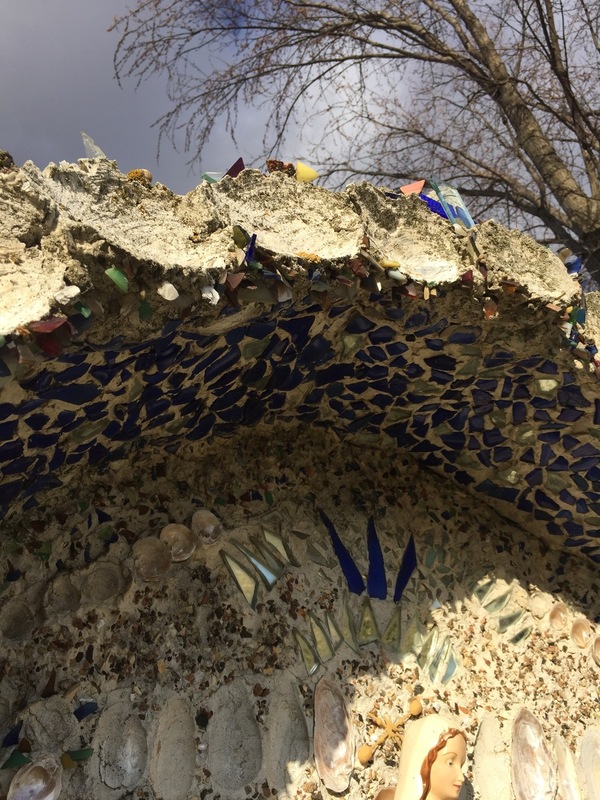 According to Catherine’s niece, she eventually produced an astounding 900 “ham can” grottoes, which she created in assembly-line style in her basement using stones, colored glass, seashells, bright jewelry, plastic beads, fake flowers, and broken rosaries embedded in cement. Catherine used 1.5 lb, 3 lb, and 5 lb ham cans, which she likely acquired from the now-defunct Dubuque Packing Company. She used colored felt to line the bottom of her shrines and never signed her work. Catherine never sought publicity for her sacred art, and the majority of her work was given away to loved ones across the country. 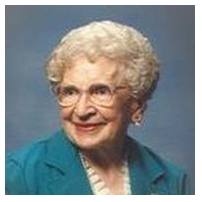 Catherine remained active in her faith and church community and was a member of St. Columbkille Catholic Church, it’s Rosary Society, Sacred Heart League, United Commercial Travelers Auxiliary, and the Veterans of Foreign Wars and World War I Auxiliaries. She dedicated countless hours to volunteering her time in the service of others, especially the elderly. Catherine died at age 96 while living at the Dubuque Ecumenical Towers.